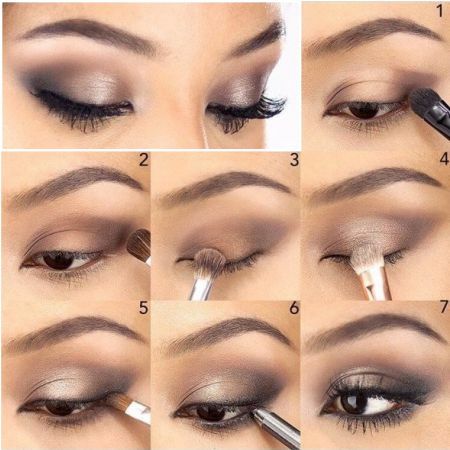 How To Avoid Problems And How To Apply Eye Makeup Correctly. The first step is cleansing. Make it a rule to only apply makeup on skin that has been previously washed with special cleansing substances. After cleansing, apply eye cream. Eye cream isusually absorbed quickly by the skin. If you find that this is not the case,then the leftover eye creamshould be carefully removed with a napkin. To get rid of circles and bags under the eyes, you can use a cooling roller or a simple ice cube from the freezer. Some people even addherbs, such as sage and chamomile, to their ice when making them at home. The next step is to apply eye shadow base. The base will not only make the application of eye shadows easier but also absorb skin fat and prevent eye shadows from getting “rolled up”. If you have never before used an eye shadow base, we advise that youtry it at least once and you will appreciate its benefits. Next, mask the dark circles under the eyes using a corrector. You can also use concealer and other masking products. 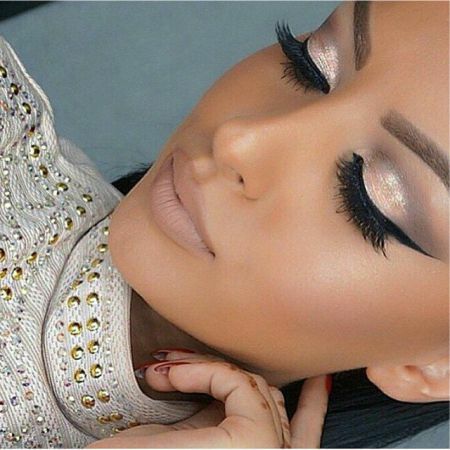 Liquid concealers are believed to be more appropriate for the eyes. However, there is no concealer that can substitute a healthy restful sleep and your good mood! Now let's move directly to the eye makeup. Pay attention to your eyebrows. Their form must be maintained regularlyas unkempt eyebrows can spoil one’s impression. The hueof youreyebrow pencil should be in tune with the color of yourhair. The choice of eye shadows depends not only on the color and shape of your eyes but also on theeventyou are attending and the effects you want to achieve. As for mascara, manufacturers currently offer a huge selection of products.One layer of mascara is enough for daytime makeup. A good technique for evening makeup is to apply mascara several times with small intervals. Eye makeup requires accuracy and precision. Focus on the process and you will get excellent results! 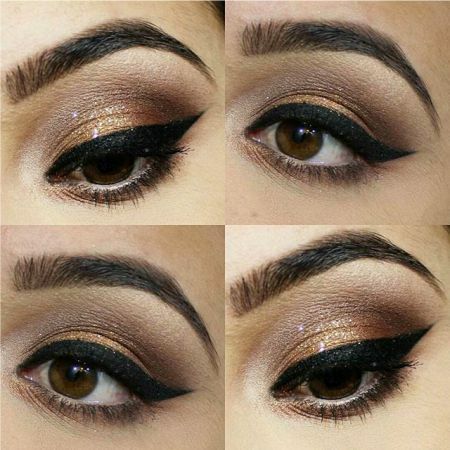 Like the article «How to Accomplish the Perfect Eye Makeup»? Share it with friends!